Colour artwork encasing four short manga-style stories and articles on Japanese culture, all loosely themed on ‘time’. 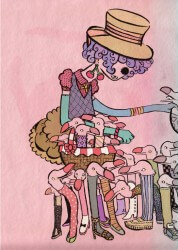 Emerging UK artists gathered together in a neat little indie package just for you! 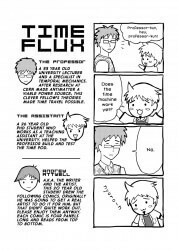 Time Flux: 4-Koma Time Travelling Comedy. Sepulture Prologue: Sinister Supernatural Prequel. 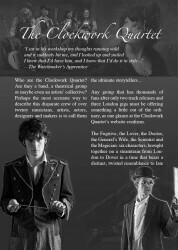 Clockwork Quartet: Article on the acclaimed Steam Punk Collective. 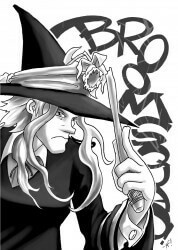 Just Imagine: Creative Fantasy Drama. 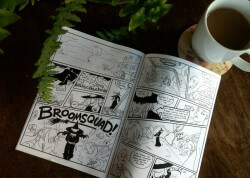 Broomsquad: Witchcrafty Law Enforcement Adventure. 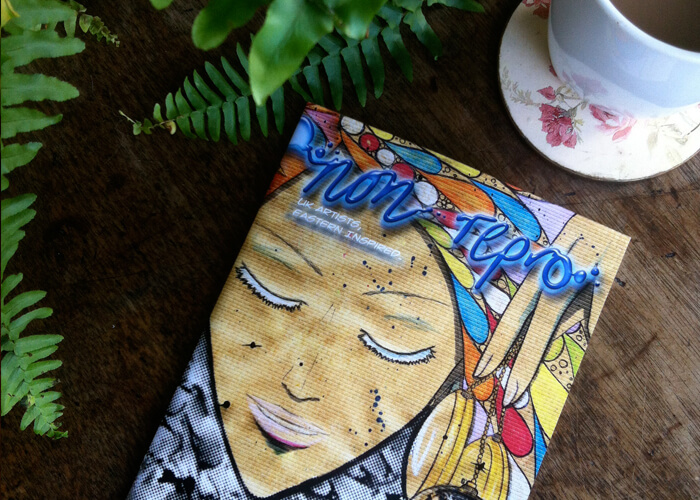 A5, 36 High Quality Glossy Printed Pages, full colour covers, black & white contents.